The Yamaha B2 SC2 Silent Piano in Polished Ebony has a solid construction that delivers a superior sound through added depth and volume. The elegant and traditional design ensures that the b2 is an attractive addition to your home. 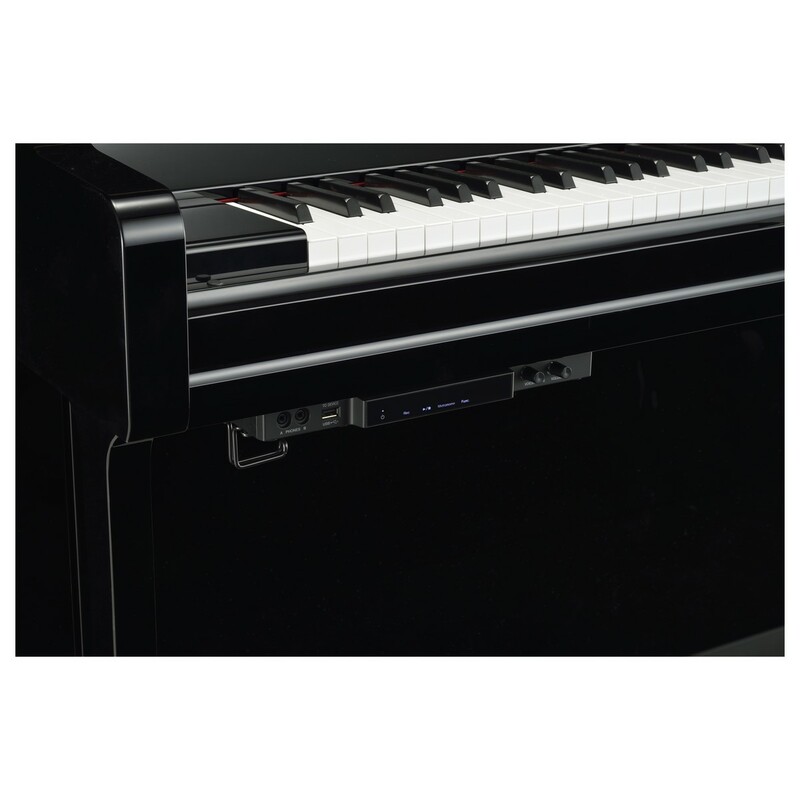 With the new SC2 module you are a push of a button away from turning the piano digital. The Yamaha b2 SC2 silent piano offers the enjoyment of playing an acoustic piano, even when played with the headphones. This piano is ideal for ambitious players looking for an affordable and durable instrument. 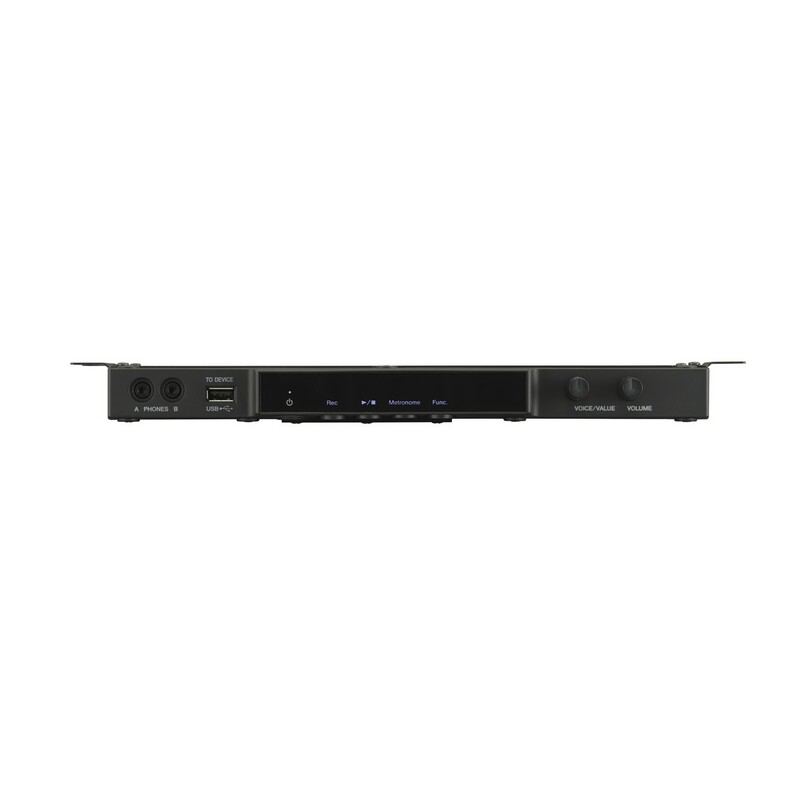 The b series delivers a unique combination of performance and attention to detail at more affordable prices. 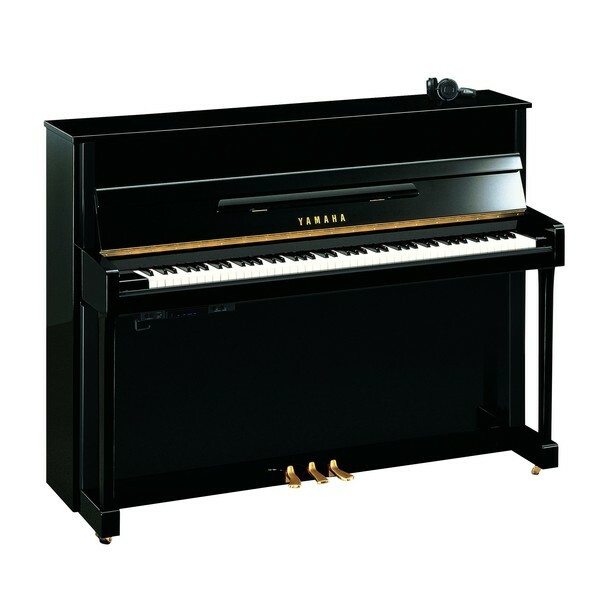 A sturdy design features back posts for added strength giving the b pianos an unrivalled richness and depth of sound. Yamaha's renowned, pure, clear tone and easy to play responsive touch of the keyboard make these uprights ideal for beginner piano students. All of this plus the lasting beauty and years of enjoyment from Yamaha craftsmanship. Many people believe that the depth and volume of sound produced from an acoustic piano will never be replicated in any digital model. The full, rich sound produced from an acoustic piano lends itself to full expression and dramatic pieces. The structure and quality of the cabinet ensure that this beautiful instrument will become a valued part of your home to be enjoyed for many years to come. The Yamaha b2 SC2 uses samples from two bespoke acoustic pianos for the most authentic tone possible. The CFX is Yamaha's flagship concert grand piano and represents 19 years of research and development. Yamaha has combined traditional craftsmanship and modern day engineering to examine every element of the piano, discovering how each detail can impact the sound. Bosendorfer have been crafting pianos since 1828 and are one of the oldest piano manufacturers in the world. Bosendorfer pianos are filled with warmth and richness of tone which has inspired composers such as Bartok and Debussy. When using headphones with the b2 SC2, the binaural sampled sounds are automatically ready with no additional settings required. These samples were recorded using special microphones to pick up the sound from the musicians position when performing. When using these samples you will soon forget that you are playing with headphones. In an acoustic piano, sound resonates throughout the body of the instrument, producing a rich and warm sound. The enhanced Virtual Resonance Modelling (VRM) found on the b2 SC2 optimises the resonances and allows every note to be unique to faithfully emulate every nuance of your technique, similar to an acoustic piano. The VRM can also calculate the intensity of your performance and add appropriate decay of each note. For a more accurate delivery time on acoustic pianos, please contact us so we can organise a mutually agreeable delivery timeframe. Your acoustic piano will be carefully prepared by Yamaha's technicians to make sure it is set up prior to delivery, which can take 3-4 weeks. The delivery will include installing your piano to a location of your choice. Please contact us to inform us of your delivery requirements in advance of placing your order.